Shared HostingEntry level shared hosting plans that suit most web sites at an affordable price. Unlimited and traditional limited shared plans available. Semi – DedicatedUltra high-end shared hosting. Share a server with 30 sites or less and get the maximum power available of any shared hosting environment. Reseller HostingWorking with clients on the web anyway? Make money reselling our superior hosting under your own brand and set your own prices. Managed Dedicated ServersWhen you want to smoke the competition, GlowHost Managed Dedicated Servers are how you get it done. We manage and monitor everything. Virtual DedicatedNot your father’s VPS! Our redundant High Availability virtual machines and 4x protected storage leave traditional VPS in the dust. Get some! Elastic Sites HostingJust as easy to manage as a shared hosting plan, but the resources and reliability of a full-blown, fully managed VPS. FREE DOMAIN REGISTRATIONGet a free domain name registration with a purchase of any shared web hosting plan. Plans start at less than $5.00 per month. CHEAP DOMAIN REGISTRATIONRegister or transfer all of your domains to manage them all in one place. Pick your perfect domain now. PRIVATE REGISTRATIONRegister your domains with privacy protection to hide your identity from spammers, scammers, and slammers. DOMAIN & SITE BUILDERGet a Free domain name with our premium DIY web site builder. Get your new website online in less than an hour. Free Trial Available. SSL CertificatesSSL certificates enable your site to encrypt sensitive credit card and other data for E-Commerce or other secure applications. TRUSTMARKS & BADGES Increase sales on your site by building consumer confidence with these trustmarks and web site seals. HACK PREVENTIONHack Prevention Services from GlowHost and Sucuri help you sleep well at night with constant malware monitoring and removal. HACK REPAIR SERVICEHack Repair Service from GlowHost and Sucuri help you to rapidly repair & rebuild your site and get it back on the web. TOLL FREE NUMBERSNeed a cheap toll-free number for your business? Get a low-cost or vanity number and forward it to any phone. 1500+ Free Design TemplatesDo you want to get 94% more total views of your content? Then it’s time to go visual. DesignPro can make your life easier. Pricing InformationTake a quick look at our pricing. This section lets you quickly compare most GlowHost services at a glance. WHY GLOWHOST?Learn more about the company we call GlowHost. GlowHost simply does hosting better. OUR DATACENTERS18 worldwide datacenter locations ensure fast content delivery to your target market. GLOWHOST REVIEWSActual testimonials, reviews and ratings submitted by GlowHost customers verified by Shopper Approved. GREEN WEB HOSTINGBetter Than Green. Over 100% of the electricity consumed at GlowHost HQ is wind powered. MEET OUR CREWGet a glimpse into part of the team that makes the fabulous service at GlowHost a possibility. View the most commonly asked Shared Hosting questions below by clicking on the question that best describes the information that you are looking for. What is the difference between unlimited, personal, and professional shared hosting? I see a shared hosting plan that comes with unlimited domains. Can I resell my space? Some of our web hosting plans offer unlimited domain name hosting. The plans that offer unlimited domain name hosting are not geared for those who want to resell their hosting services. Though not prohibited, reselling on these web hosting plans is not ideal as each domain will share a single cPanel control panel. These packages are suited for an individual owner who maintains several sites of their own. If you plan on reselling, please see our full-featured, private label Reseller Web Hosting plans, Cloud Servers or Dedicated Servers that allow you to offer private control panels that display your company’s brand name and graphics to your customers. Shared packages that offer unlimited domains offer what is known in the cPanel world as “addon domains.” Addon domains share one file system, so the main account has subfolders in which the other web site files are located. The domains are then parked on these sub folders and work like any other web site. The downside of addon domains is that there is only one control panel for all sites and if you want to convert addon domains to their own cPanel control panel accounts later, it can be a time consuming manual process. Another downside of addon domains is that if there is a problem with one of the sites, it can in theory affect the other sites. A site suspension is a good example of this. When you have unique cPanel accounts the other sites are better protected. Why do plans that have disk space and transfer limits cost more than unlimited plans? When you say 'Unlimited Domains' on a shared hosting package, does each site get its own control panel? Can I install an SSL certificate in order to use https pages on any shared hosting plan? Yes! 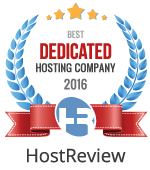 We offer a full 91 day money back guarantee on all hosting services, with the exception of our dedicated servers. All dedicated servers require a minimum 1 month contract and no refunds are offered on dedicated servers. If you do not love our services we will refund you 100% of your money. We are so confident that you will be satisfied with our services that we offer an unconditional 91 Day Money Back Guarantee. If you aren’t completely satisfied, you will receive a full refund of your monthly hosting fees. This is a no questions asked money back guarantee. Right now with selected plans, GlowHost is giving away, absolutely free, the domain name of your choice. Our most robust pre-installed web app package. Install most popular open source apps on your site with a single mouse-click. GlowHost offers the most comprehensive, yet easy to use control panel packed with quality features. Professional secure IMAP email, anti-virus and spam control including end-to-end PGP encryption support and email archiving options. Copyright © 2002 - 2019 | GlowHost® and the GlowHost logo are registered trademarks of GlowHost.com, LLC - All rights reserved. All other trademarks, service marks and logos used in this Site are the trademarks, service marks, or logos of their respective owners.